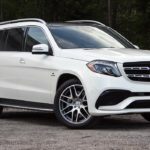 This month I enjoyed the 2019 Mercedes-Benz GLS 63. The words that came to mind while driving were luxury, comfort and class. With its classic sophistication, this vehicle not only drives with ease but it is also incredibly comfortable. The interior on this vehicle is top-notch, including beautiful black exclusive Napa Leather featuring multi-contour front seats with massage function as well as power heated and cool air ventilation options. The second-row seats also include a heating option and convenient access to third-row seats. A simple push of a button raises a convenient and comfortable third row to allow seating for two additional passengers making the GLS 63 very family-friendly. The three-zone automatic climate control keeps all passengers at a comfortable temperature. The inside boasts a panoramic roof and sleek multicolor ambient lighting with illuminated door sills. The features that stood out in the driving experience of the Mercedes-Benz GLS 63 included the active blind spot assist and parking assist with surround view system (all around camera system) which made pulling in and out of tight parking spaces a breeze. 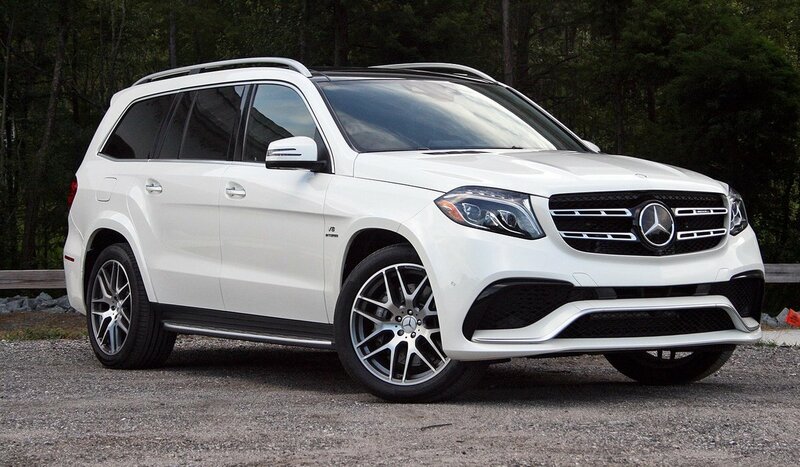 The GLS 63 has a handcrafted AMG 5.5L V8 Biturbo Engine with 577 horsepower and 561 pound-foot torque. It’s AMG Speedshift Plus 7G-Tronic Transmission allows for a true driving experience. One thing to be aware of is your speed; you may not realize your rapid cruising speed due to the smooth ride this vehicle provides. The exterior is a clean and classy Polar White featuring soft-close doors. This GLS 63 includes a cool Night Styling Package illuminating the iconic Mercedes-Benz symbol below the side mirrors with an extra pop at night. Considering all this vehicle has to offer, it is fairly priced at $137,005 with a base price of $126,150.